If there is one thing I love, it's a good Mexican casserole. I could eat Mexican food every day of the week and would if my husband wouldn't eventually get sick of it. Mexican food is definitely the way to my heart! There are a million and one Mexican casserole recipes out there, and most are quite tasty. I like to find new variations of such a classic dish to mix things up, and I am really excited to share this one with you guys. 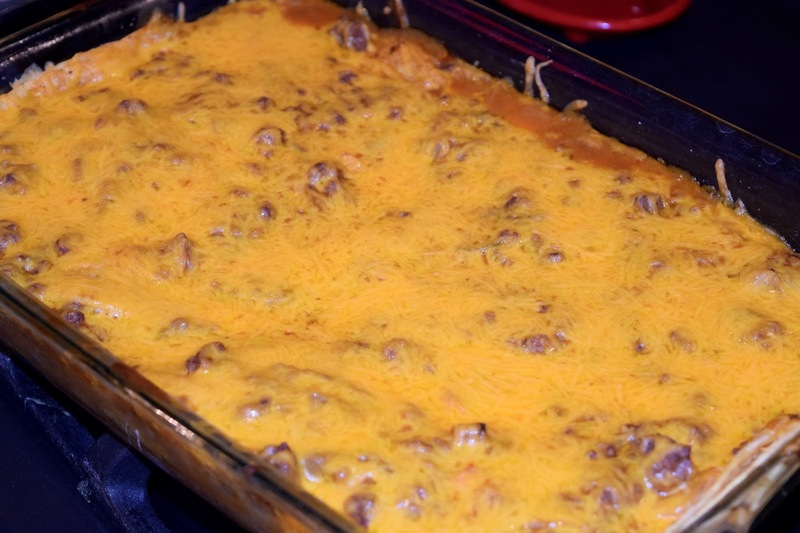 This is a tried and true casserole that I grew up loving. My grandmother made it, my mom made it, and now I make it. It freezes well for new mamas and is the ultimate comfort food if you're entertaining. Yall, make this! 1. Preheat oven to 350 degrees and spray a 9x13 baking dish with cooking spray. 2. 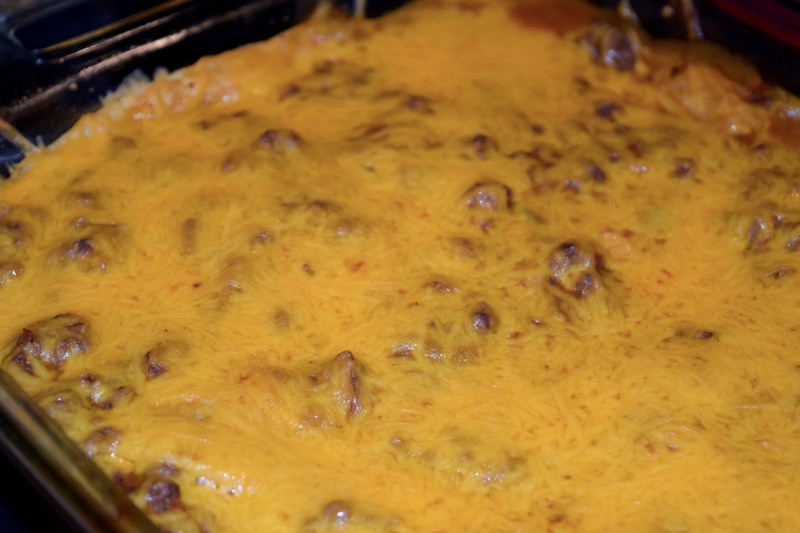 In a large skillet, brown ground beef and onion until the meat is fully cooked. Drain any fat. 3. Add chopped green chilies, soups, enchilada sauce, salt, and pepper. Stir together and cook 1-2 minutes, until well mixed. 4. Line the bottom of your baking dish with tortillas. Cover with a layer of meat sauce. Alternate between tortillas and meat, ending with meat sauce. You should have 2 layers of each. 5. Cover with cheese and bake 20 minutes or until cheese is melted. You had me at cheese haha. It looks so good. Yes, yes, yes! 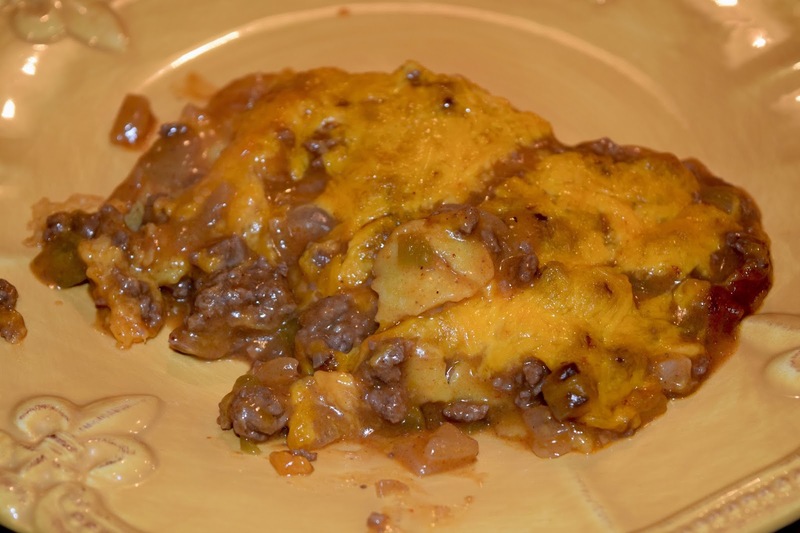 Love casseroles and love Mexican! If this biscuit would just stop making me so darn nauseous, I'd be ALL over this! Holy yum! Yum! I'm feeling inspired to make some mexican casserole now. I've done it with spaghetti squash in place of tortilla. It sounds a little different but it turned out really well!